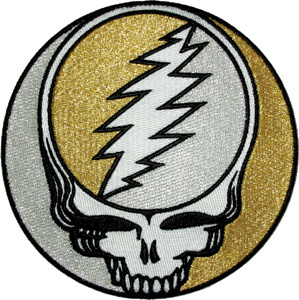 A gold and silver Grateful Dead "SYF" Steal Your face patch that can be ironed on or sewn on. Officially licensed Grateful Dead merchandise. Approximate size is 5" round. I have received many compliments from strangers and friends after adding this high quality piece to my jacket.